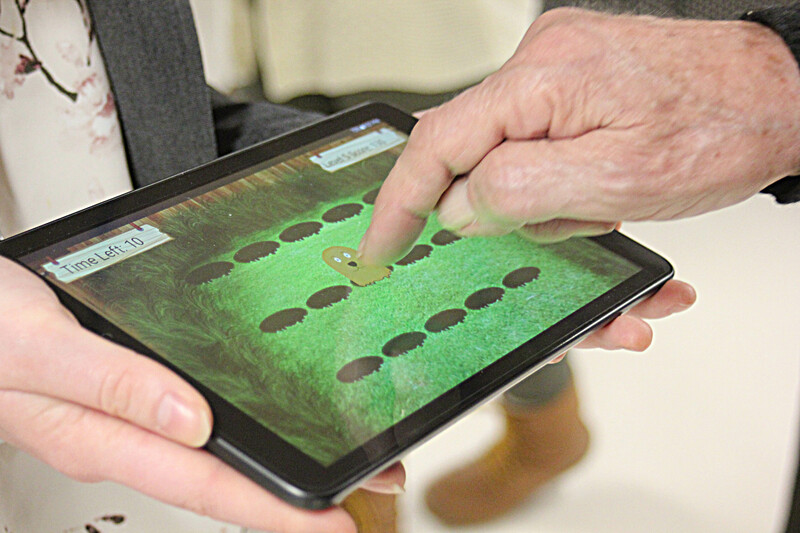 Whack-A-Mole was developed by Bruyère researchers as a way to test the memory of individuals with dementia. Based on the popular arcade game, this technology is designed to collect clinically-relevant data while he or she plays. This includes information such as reaction time and accuracy levels. The game also provides a useful means of testing patients’ memory in a way that is sensitive to their needs. Traditional memory testing can be stressful for older adults, so the game offers an alternative and fun way to provide critical data to clinicians.